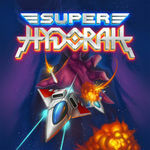 Super Hydorah is a shooting game that embraces the teachings of the classic genre titans while offering its own thoughtful tweaks: direct action and a wide variety of unique spatial situations. 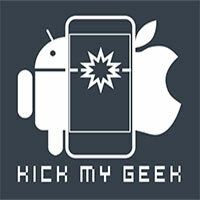 Equip your ship and save the galaxy against the dreadful menace of the Meroptians! The game controls very well on the touchscreen, which surprised me a bit as many such shooters don’t have that precision element where you can slide diagonally gently. I found the best way to play Super Hydorah was with my thumb on the right side of the display where the enemies are usually coming from and not the traditional method from the left side. 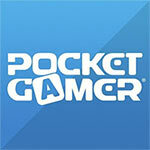 Anyone into shoot 'em ups needs to give this game a try. It plays and controls well in a nice and frantic pace that should keep you on your toes for long play sessions. 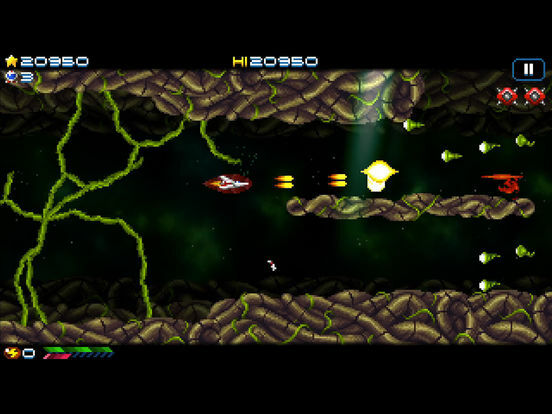 Super Hydorah is a very pleasant tribute to the classics of a bygone era. The thing to know about Super Hydorah is that it’s a game that checks the boxes in all of the right places. 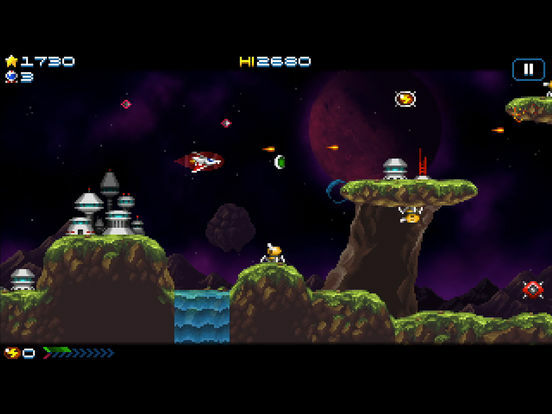 It’s a side-scrolling shooter with a retro feel, but just enough of its own clever ideas to make it stand out. It may not have a difficulty curve that makes sense, and its story may be very weak, but those things don’t register as problems while you’re playing it. 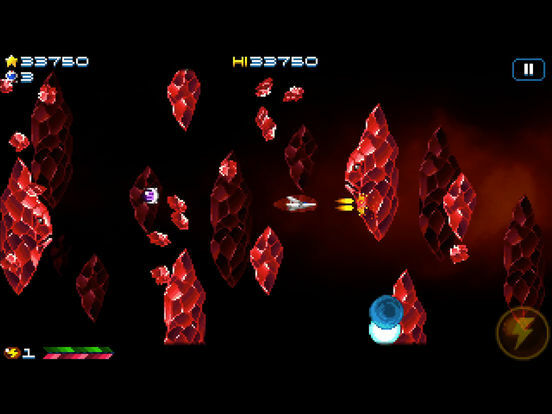 Instead, you focus in on the tight controls, classic presentation, and inventive level design that makes this simple shooter formula work. A brilliantly well put together old school shooter that's going to scratch all of your blowing-things-up itches. 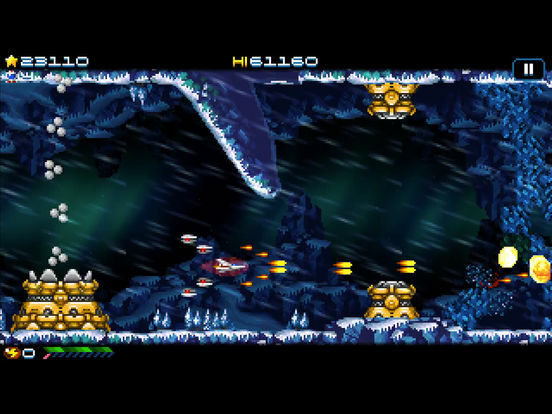 Más allá de estas consideraciones, no podemos dejar de recomendar Super Hydorah en cualquiera de sus versiones, incluso en iOS, con la posibilidad de llevarnos su esencia arcade allá donde queramos. Le studio Abylight nous propose une expérience de jeu vraiment exaltante, reprenant les codes de ce qui se faisait de mieux avant en se les appropriant complètement. 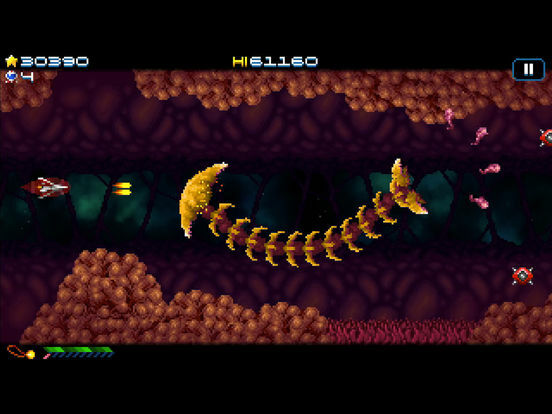 Super Hydorah reste parfaitement accessible à tout type de joueur via son mode facile, et donnera du fil à retordre aux vétérans du genre. L'arsenale personalizzabile, i due livelli di difficoltĂ e l'eccellente (ma non perfetto) sistema di controllo touch garantiscono un intrattenimento di spessore per gli appassionati alla ricerca di uno shooter che li riporti negli anni '90. La presenza di finali multipli, infine, non rappresenta che la ciliegina sulla torta per un lavoro davvero ben fatto, forse un pochino costoso se consideriamo la media dei titoli su App Store ma indubbiamente dotato di un grande fascino.